Well first off this place is to expensive for what it offers…The beds don’t have a fitted sheet but rather another sheet that comes out if you even sit down on them..There was no shampoo at all…There was actually drug paraphernalia hidden in the vent of my bathroom..The front desk clerk slash manager is a rude older man who can not speak english very well.. If you really need a place to sleep for the night SKIP this place and move on with your search… I have had made the mistake of staying here for a week just do to traveling for work and this is what I got. NEVER stay at this hotel. It seems to be mostly occupied by “people” who live there on a weekly rate. Obvious drug and prostitution activity and noise all night. There was actually someone sleeping in the dumpster! The rooms are filthy and the staff are rude and don’t communicate very well. The whole place smells like someone cooking all the time. This is a dangerous place and should not only be avoided but closed down. 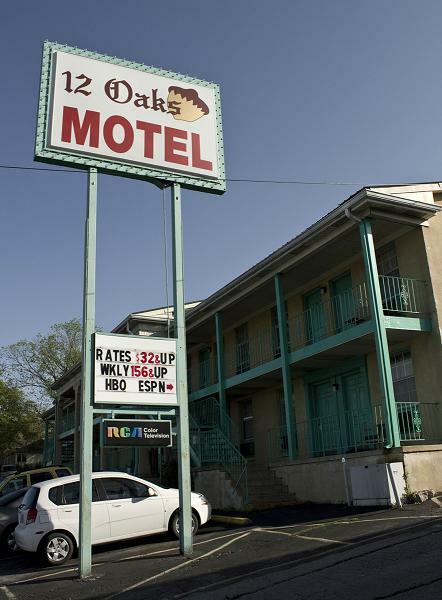 This entry was posted in Travel and tagged Motel, Nashville, Tennesee, Twelve Oaks. Bookmark the permalink.